Deborah has been our client for nearly 5 years, and has been running the Leapin’ Lizard RV Ranch for over 20 years with her husband. Deborah is always great to speak to, and we wanted find out some more about her, and her business, and share it with you. What is your name and the name of your business? How did you get into the business you are in? I married into it. My husband was building the RV Park when we met. We worked together to get it open. The RV Park opened January 1997. That folks are happy to get here. And helping them to have the best experience possible. Having Buzzazz design our website and finishing the pool and spa. What might be something people would be surprised about the work you do? Relaxing and reading. Traveling in the summer. Building, owning and operating Leapin’ Lizard RV Ranch is amazing and hard work. But it’s wonderful work. Folks plan and travel to get here. We appreciate that very much and try to help them have the best time. 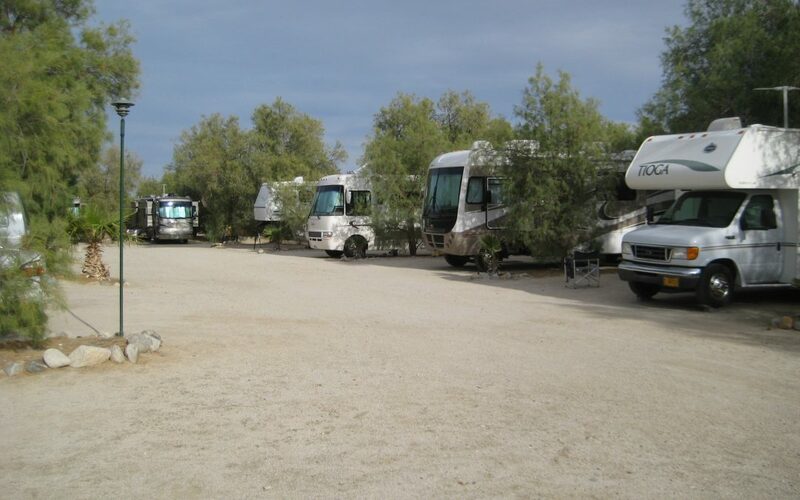 We are an RV Park and provide a wonderful camping experience for RVers. It varies. Families, Singles, Couples, Retirees. Hearing how much people love the Leapin’ Lizard. But truly it would have to be the RV Park itself. Mornings with the smell of bacon, the afternoon of guests in the midst of their fun and adventures and Evenings of B-B-Qs and campfires. And quiet star filled nights. This is the Anza-Borrego Desert and during the summer it’s too hot for business. To have the pool heated for winter, be credit card debt free and continue to improve the RV Park. What is the most important function of your business? To help folks have a great time while they’re visiting us and the desert. Visit Leapin’ Lizard To Find Out More!